Payment is the most important thing for any business, and this is why it is a good idea to ensure that everything is working the way it is supposed to. There will be times when you have challenges with your payment system and process, and this is when you need to put in more effort to ensure that everything is running smoothly. With the right payment solutions, you will have an easier time and a chance to focus on other things other than it. We have worked with different businesses over the years and know the importance of proper payment solutions. There is a wide range of options when it comes payment solutions, and you will need to choose the one that is good for your business. There are some businesses that have limited options, and they will be turned down by most of the options out there. We deal with complex and high-risk merchant services. We try our best to ensure that our clients get the highest level of service. We have been able to work with different businesses from different industries. Including; parking, e-commerce, Restaurants, High-Risk Payments, etc. We have many satisfied clients and most of them recommend us to others. We are dedicated to providing the best services for business and owner with poor scores, bankruptcies, or those looking for no credit check merchant accounts. In order to be effective in doing this, we will start by getting an understanding of the unique needs and underwrite the requirements of the merchant who has a poor credit history and provide them with service that will be able to help them depending on the industry they are in. If an entrepreneur has a bad credit history, then he/she will need to reach out to us so we can provide them with more information about the process of getting the merchant account, and be able to succeed in the long term by accepting credit and debit cards. The process of getting a merchant account is not complicated. Both sides will be getting something out of the deal, and the process is not as complicated as you might think. This doesnt mean we wont do the due diligence to ensure you meet the requirements before approving the applications. A merchant account is a type of bank account where the main goal is holding funds that have been captured from debit and credit card sales. This is where the funds go to when you go to the store and pay using your card. This is where they will be transferred to the normal business account, and this can be either daily or weekly. A business will need a merchant account provider if they are interested in accepting debit and credit card payments online. The merchant account is a legal agreement between the provider and your business. There will be terms and condition in a contract that you will need to sign. The reason why a business will need to apply and wait for approval on a merchant account is the fact that the provider has the potential of losing money every time a credit card transaction is processed on behalf of your business. Credit card companies protect their users and the cardholder is entitled to a refund on the purchase if they did not get the promised goods or services. There is some documentation you will need before you get approved, and it is important to have them in order to make the process smoother. There are some providers that will reject the application for one reason or another, but the most common is that the business or the owner has poor credit. This is where we have specialized, you dont have to worry because we will provide you with the services. There are many businesses out there that cannot accept card transactions because they have a poor credit history, and this is why we are here. We want to help businesses with their online payment solutions so they can grow and serve more clients. Not accepting card payments is a loss for a business because many people use it to pay. If a visitor comes to your website and finds you dont accept card payments, then they will most likely go to your competitor who accepts it. How common are bad credit merchant accounts? It is a little hard to know the exact statics when it comes to the average score of a merchant account holder or how many merchant accounts are there. One way of looking at this is by analyzing the data from the general American credit score and layering it with statistics comparing the average credit scores of business owners against the public at large. If we consider people with a credit score of less than 580 as being "bad credit", then you can estimate that about 90 million Americans have bad credit. This means if they were looking to get a merchant account, they will need to go with a bad credit merchant account. Not every American will need a merchant account, so we just look at business owners. Business owners have about 5 to 10 points higher than non-business owners according to FICO credit score. If we go by this, then there is a three to one ratio. There are approximately 8.4 million active merchants in the US, meaning there are about 2 million bad credit merchant accounts. These numbers are not accurate, just an estimation. But what we can see is that there are millions of small and medium-sized businesses that are being run by people with poor credit score. This is why a bad credit merchant account is very important for many people across the country. What Type of Credit Check do You Need? Many of the banks will need satisfactory results of a background check, trading history, and credit check when you apply for the merchant account. The two components of credit checks are personal credit history and business credit history. You can get a merchant account even if you have had issues with your personal credit in the past. The decision will be determined by the amount owed, the frequency of defaults, number of defaults, the time the defaults have extended, and whether you have settled the debts. Business credit history will apply to both limited companies and sole traders. The banks will do a review of the credit history of the business and that of the partners. If it doesn't meet the set requirements, then the business will have to consider other merchant account alternatives. What is a bad credit merchant account? A bad credit merchant account means an account for a business with bad credit, and this means a poor FICO credit score. Credit card processors are careful when it comes to underwriting, and they will use your credit score to make the decision of accepting or declining your application. If you have a bad credit score, do not expect to get approved for a low-risk merchant account. If you have a bad credit history and want your business to accept card payments, then you will have to apply for a bad credit merchant account, which we will provide you because we have specialized in high-risk credit card processing. You will have to pay higher rates when compared to what others are paying for the low-risk accounts. You will also have to deal with more restrictions than low-risk accounts. Some of the restrictions include delayed or a cap on volume each month and a rolling reserve. This might not be a pure merchant account, but it has become a good alternative for many businesses. Creating a PayPal account is easy because you just need an email address, and you dont have to worry about credit checks. PayPal gives you the ability to invoice your customers so they can pay the moment they get the bill. There is reduced administration responsibilities since the receipt is generated automatically and sent to the customer once they make the payment. Money can be submitted to PayPal at no charge. There is a 1.9 to 3.4 percent of the purchase price and a 20p that will be imposed when a payment is received. There are over 70 million PayPal users and many stores have integrated it into their payment solutions. It is based in the UK and there is no registration needed. It charges 2.6 percent of the purchase price plus 20 p. It provides an automated payment confirmation with guaranteed payments and no chargeback fees. There is a spending limit which can have an impact on the usability; members can send no more than £300 per day while non-members can send no more than £100 per day. This is a popular option for people with poor credit history. This platform supports most of the payment options out there and can process different types of currency. You don't pay any monthly charges and their transaction fees are lower. They provide free fraud screening. They will charge high fees but they also accept 99.9 percent of the applications. They have excellent customer service. This can be of help if there is no other provider you can choose. This is a great option for a new business that doesn't have a credit history and is looking for a credit card processing system. Their fees are low and they have a high approval rate. You can have a plan that has been tailored to fit your needs. Why does personal credit affect merchant account application? For a small business, the personal credit of the owner is seen as the proxy for the credit of the business. This is why personal credit is relevant even though the merchant account is written through the business (you will most likely guarantee the merchant account). Why are the credit scores of the business owner relevant? A merchant account can be viewed in the same way as a small loan from the card processor. This is because when a business accepts a credit card, then they can expect to get it in one or two days. The credit card processor will have to wait for the funds for two days to even one month after the processing. Imagine a situation where the merchant has been paid, but then it turns out that the card that was used to make the payments were fraudulent or the business did not deliver the product. The processor will have to ask you for the money, and they will look at the credit score to see whether you will be willing and able to pay when this happens. If a customer initiates a chargeback several months later and the processor no longer works with the merchant account client or the business account is empty, they credit card processor will have to pay for the chargeback. 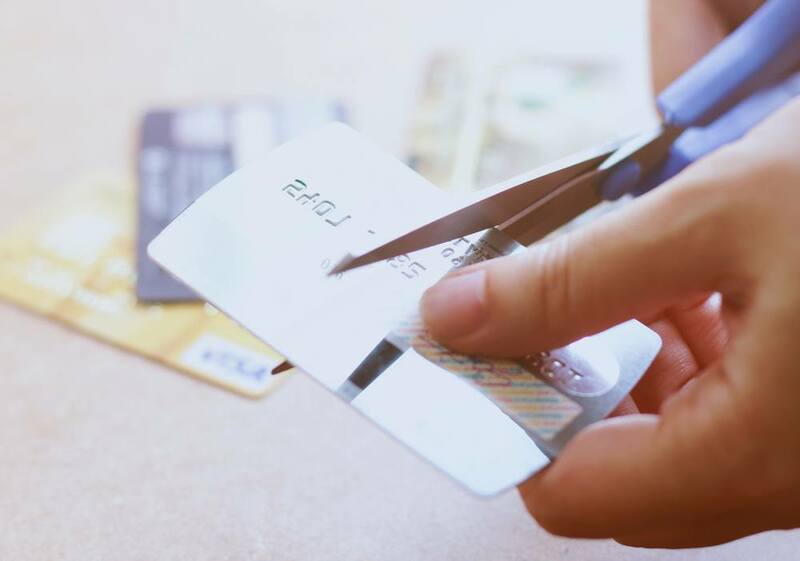 This is why credit card processors will ensure they do a thorough check to ensure that they don't end up making losses both in the short and long term. Who Offers Merchant Accounts for Business or Individual with Bad Credit? It is hard for a person with bad credit history to get a low-risk merchant account. This is because companies providing low-risk merchant accounts have streamlined their operations in order to keep their costs low, and they don't have enough to insure against losses I case of chargebacks or collections issues on the merchant account. This means you don't have to waste time trying to apply for a low-risk merchant account when you have a bad credit history. What is the score you need when applying a bad credit merchant account? A low-risk processor will have a limit of 600, although it can vary from one processor to another. A high-risk processor will be able to set a lower credit score, but the worse the credit score the worse the terms of your bad credit merchant account. There will be restrictions placed, but you can expect to see some go away after a couple of months. This is because you processing history will start to build up and help your merchant account.